For individuals with tetraplegia, restoring limited or missing grasping function is the highest priority. In patients with high Spinal Cord Injury (SCI) and a lack of surgical options, restricted upper extremity function can be improved with the use of neuroprostheses based on Functional Electrical Stimulation (FES). Grasp neuroprostheses with different degrees of complexity and invasiveness exist, although few models are available for routine clinical application. Hybrid systems combining FES with orthoses hold promise for restoring completely lost upper extremity function. Novel user interfaces integrating biosignals from several sources are needed to make full use of the many degrees of freedom of hybrid neuroprostheses. Motor Imagery (MI)-based Brain-Computer Interfaces (BCIs) are an emerging technology that may serve as a valuable adjunct to traditional control interfaces. This chapter provides an overview of the current state of the art of BCI-controlled upper-extremity neuroprostheses and describes the challenges and promises for the future. In Europe, an estimated 330,000 people are living with the consequences of spinal cord injury (SCI), with 11,000 new injuries occurring per year (Ouzký, 2002; van den Berg, Castellote, Mahillo-Fernandez, & de Pedro-Cuesta, 2010). Numbers for the United States are in the same range (NSCISC, 2012). Despite marked regional differences across the globe, there has been a trend towards increasing prevalence rates of SCI over the past decades (Furlan, Sakakibara, Miller, & Krassioukov, 2013). While the most frequent causes of SCI continue to be traffic, work-related and sporting accidents, in industrial countries there is an ongoing trend towards a higher proportion of non-traumatic lesions (Exner, 2004). An SCI leads to restrictions or complete loss of motor, sensory and autonomic functions below the level of lesion. Currently, 50% of all individuals with an SCI are tetraplegic due to injuries of the cervical spinal cord with resulting life-long paralysis of the lower and upper extremities. The majority of tetraplegic patients have a neurological level of lesion at C4 and C5 (NSCISC, 2012). In lesions at the level of C5, finger function is typically restricted or completely lost, while in most C4 lesions, hand function and elbow flexion are additionally limited. In general, individuals with a high SCI have a very heterogeneous neurological and functional status depending on the level, completeness and type of lesion. In particular, damage to the lower motor neurons at the lesion site leads to a more or less pronounced occurrence of denervated muscles (Mulcahey, Smith, & Betz, 1999). If motor impairments persist, they lead to different negative secondary side effects. Within the first weeks after SCI, spasticity develops in many patients. The term “spasticity” describes a clinical syndrome characterized by involuntary muscle contractions that cannot be suppressed or controlled by the patient and an increased stiffness of joints against passive movement. Immobility may lead to a reduction in the passive range of motion of affected joints, which may result in severe contractures with totally immobile joints due to calcified joint capsules. Adequate physical therapy may prevent some of these negative side effects on the musculoskeletal body structures. In the chronic stage, profound disuse atrophy of the permanently paralyzed muscles occurs. Bilateral loss of the grasp function severely limits the affected individuals’ ability to live independently and retain gainful employment post injury. Therefore, one of the main priorities of these patients is to improve a missing grasping and reaching function (Anderson, 2004; Collinger, Boninger, et al., 2013; Snoek, MJ, Hermens, Maxwell, & Biering-Sorensen, 2004). If there is sufficient voluntary control of muscles distal to the elbow, surgical procedures such as muscle and tendon transfers, tenodeses and arthrodeses, can be successfully applied for regaining a meaningful grasp function (Hentz & Leclercq, 2002; Keith & Peljovich, 2012). However, if no voluntary motor functions are present or an individual is unwilling to undergo surgery with the associated extended post-surgical rehabilitation period, grasp neuroprostheses on the basis of FES may represent a valid alternative for restoring upper extremity function (Rupp & Gerner, 2007). 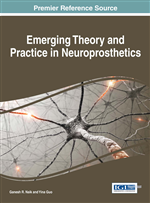 The aim of this chapter is to provide a comprehensive overview of the current state of the art of upper extremity neuroprostheses with a strong focus on the current possibilities for setting up personalized systems. The need for individualization applies not only to the FES components but also to the control interfaces.